The What: EvoStream, a technology OEM enabling company specializing in live, low-latency video streaming software, has brought its next-generation server and video streaming software to market. 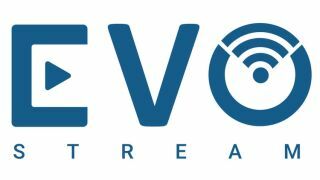 Available immediately, Evostream 2.0 provides OEMs with a broader palette to integrate video streams into existing hardware and software platforms, with improvements including multi-platform delivery and adaptive bitrate streaming. The What Else: At its core, the EvoStream Media Server (EMS) is an engine for greater efficiency in live streaming video—both as a software agent for smart content generation devices and a software engine for content distribution platforms. EvoStream partners with hardware and device development teams to integrate its middleware software into a range of firmware—spanning multiple technologies, standards, and protocols. The initial EMS release exceled in helping OEMs in the security, video surveillance, and audiovisual markets integrate live streaming video to and from a variety of connected devices, appliances, and services. This was in part due to EvoStream’s low latency from image capture to delivery and adaptability to cloud systems and embedded platforms. The company later incorporated technical innovations across peer-to-peer streaming, HTML5 media players, metadata integration, and transcoding via RaspberryPi. EvoStream 2.0 retains these processing capabilities while strengthening the user experience. This starts with a fully revamped, browser-based user interface that accelerates the learning curve of working with EvoStream, with all functions and features immediately accessible and self-contained within the new Application Programming Interface (API) wizard. From a playout perspective, EvoStream 2.0 enables multiplatform video delivery with support for iOS, Android, and browser-based media players and player libraries. This is due to enhanced HTML5 support that transitions EvoStream users from working with an HTML5 player appliance to a true embedded HTML5 software solution. Each of the three available players (iOS, Android, browser) integrates real-time metadata and bidirectional command channels to provide richer streaming workflows. To augment the live streaming products and applications of its OEM customers, EvoStream will release reference applications providing live streaming to Facebook, YouTube, and EMS servers running in the cloud. These apps use the EMS to provide a full suite of streaming capabilities from mobile phones including encryption, peer-to-peer streaming, and more. Libraries for integration into customer apps will be available to EvoStream OEM customers.